Convenience, accountability, simplicity, and reliability describe the Manatralogix Advantage. Mantralogix is your single-source provider of business management software, IT consulting and networking design, deployment and support, and custom application development. We specialize in ERP/Accounting and CRM solutions, as well as a host of leading IT solutions & services. Our core values drive us to work with you, leveraging technology to increase flexibility, creativity and agility to support your human talent and as a result, your business. For us, it’s personal, not just business! Sage Software Business Partners – Software Implementation, Training and Support for Sage X3. 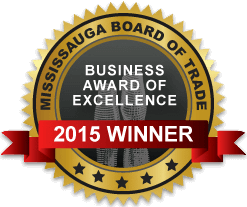 Mantralogix has been selected as the 2015 Small Business of the Year by the Mississauga Board of Trade. "Mantralogix took the time to truly understand every facet of our business. They were able to help us combine multiple systems to simplify how we operated. You couldn’t work with anyone better for implementation, development, and support. They have the whole game."